The crime of arson is the willful and malicious setting on fire or burning of a building, structure, or property. In Nevada, the statute states that ownership of the property is immaterial, which means that it is not a defense that the person owned the property which he or she is accused of setting on fire. Statute further dictates that a building or structure will be considered having been set on fire if any portion of the building or structure is burned, charred, or scorched. The extent of the damage is also immaterial, as even the slightest burning, charring, or scorching can give rise to charges of arson. Committing an arson or helping someone to commit an arson with the intent to defraud an insurer is also an offense. A person may face attempted arson charges if evidence suggests that the person made willful preparations to set fire to a building or structure in the future. 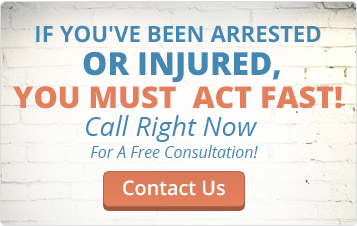 If you or a loved one is facing an arson charge, contact a Las Vegas arson attorney today. There are various degrees of arson in Nevada; first degree arson is the most serious level of the crime, and fourth is the least. Helping someone to commit an arson and attempted arson are both separate offenses under the law, so they are not offenses that fall under any of arson’s four degrees. The length of time that a person may have to spend behind bars, and the fines that the person may have to pay if he or she is convicted of arson varies by degree. First Degree Arson: the willful or malicious setting fire to, or helping to set fire to, any house building or mobile home that is either occupied or vacant – or of any personal property occupied by at least one person. Ownership of the structure or property burned does not matter. This degree of arson is punishable by up to 15 years in confinement and a fine up to $15,000. Second Degree Arson: the willful or malicious setting fire to, or helping to set fire to, any abandoned structure regardless of who owns the structure. This degree of arson is punishable by up to 10 years in confinement and a fine up to $10,000. Third Degree Arson: the willful or malicious setting fire to, or helping to set fire to, any personal property that is valued at $25 or more and that is unoccupied, or to any property that is owned by the accused but in which another party has a legal ownership interest, or to any timber, vegetation, shrubbery, forest, timber, grass, or flammable material that is not the property of the accused. This degree of arson is punishable by up to 4 years in confinement and a fine up to $5,000. Fourth Degree Arson: the attempted willful or malicious setting fire to any of the types of property listed above. Being found in the preparatory stages of the offense, or trying to burn a structure or property but failing, will expose a person to a fourth degree arson charge. This degree of arson is punishable by up to 4 years in confinement and a fine up to $5,000. Committing or Attempting to Commit Arson: In Nevada, those accused of committing or attempting to commit arson with the intent to defraud an insurer is considered insurance fraud and carries a maximum penalty of 6 years in confinement and a fine up to $5,000. As you can see, arson penalties are serious and even a fourth-degree arson conviction can put you in prison for years. If you or someone you love faces a criminal arson charge, retain the advice and services an experienced defense lawyer at once. An experienced Las Vegas criminal defense attorney can assess the charges, line up evidence and witnesses on your behalf, and aggressively defend you. If you’re charged with the crime, make the call immediately. Anyone who is facing arson charges has too much on the line to risk their liberty and freedom by not partnering with an experienced Las Vegas arson attorney. The Fletcher Firm, a full service law firm staffed by attorneys with decades of experience between them, can represent arson suspects for any reason relating to the charges, from interviews with police to trial, if the prosecutor decides to proceed with charges. Once a Las Vegas arson attorney from the Fletcher Firm is assigned to a case, he or she will review the evidence with the suspect, explain to the suspect the charges and what they mean, and make an honest assessment of the suspect’s best legal options. When the attorney is representing the client before third parties, like criminal investigators, the attorney will ensure that the suspect is aware of his or her rights, that those rights are protected, and that the suspect understands the meaning and purpose of any questions that may be asked. In addition to the services they provide directly, attorneys also have access to a variety of professionals in a variety of fields who can be contacted for their experienced insight into the legal charges which the suspect is facing. For arson charges, the attorney may choose to consult with private fire investigators and other experts of fire science. If they have insight which may help a case, then the attorney can even ask the investigator or expert to take the stand in the suspect’s defense. Since average people accused of arson don’t have access to these kinds of resources, and have little idea of how to go about securing an investigator or expert, it is often in their best interests to secure legal counsel as quickly in the legal process as possible and to rely on that counsel’s sound judgment.